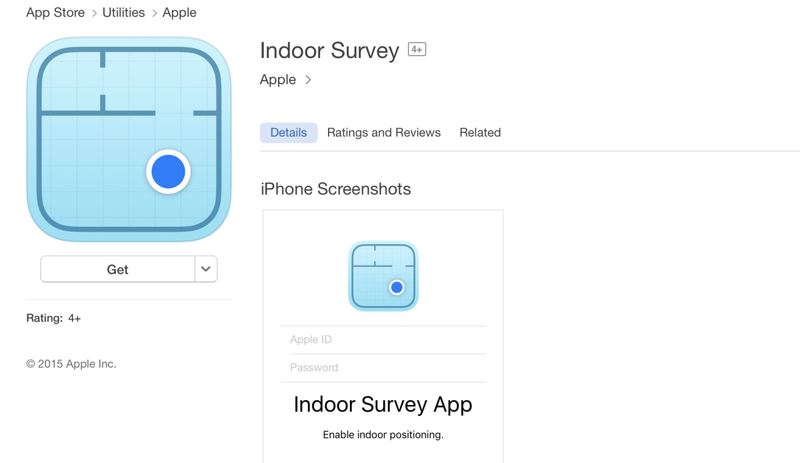 Apple may be getting into the indoor mapping game. An app has been discovered that lets users map the inside of a building using their phones. Unfortunately, it’s not for the casual user. The app was discovered buried in the App Store; it wasn’t even discoverable via Search, nor was it listed as an official Apple app under the company’s profile. Here’s how it works: when a user walks through a venue, they drop ‘pins.’ As users drop pins, the app uses the radio frequency signal along with an iPhone’s sensor data to create an indoor map. The app seems to be meant for businesses who want to contribute to Apple’s Maps Connect program, which lets small businesses edit data about their establishments. Apple Insider notes the app uses technology similar to WiFiSLAM, a company Apple purchased in 2013 for $20 million. For now, this seems like an enterprise-facing app, but we wouldn’t be surprised to see Apple let users contribute to Maps somewhere down the line with this one, either.